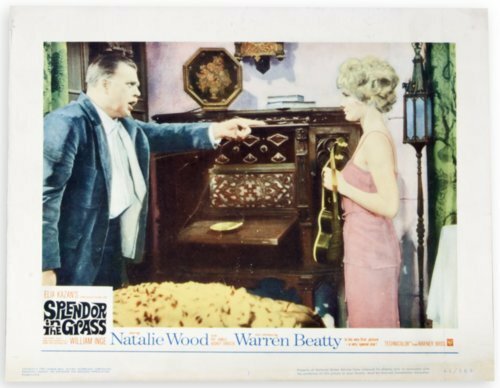 This polychrome-lithographed lobby card advertises the film "Splendor in the Grass." The screenplay for the 1961 film was written by William Inge and based on his personal experience growing up in Independence, Kansas. Inge won an Academy Award for this film.